Since the X-ray was discovered in 1895, it’s become one of the most important and widely used diagnostic tools in modern medicine. But its popularity is also a problem for many radiologists. The number of medical images that radiologists must review is growing exponentially, yet many countries don’t have enough radiologists to read these images. It’s predicted the UK will be short at least 1,600 diagnostic radiologists by 2022. This is already a problem, as nearly 97% of radiology departments can’t meet diagnostic reporting requirements, leaving patients waiting a month or more for their imaging results. The financial toll is growing, with outsourcing image reading costs doubling to $150 million in the last three years. These numbers are alarming. But for one group of Romanian students, they were inspiring. The four students recently developed an Artificial Intelligence-based application for X-ray called XVision, an automated X-ray analysis application that automatically detects anomalies and diseases. XVision uses AI to interpret X-ray images and indicate the possibility that an anomaly is present. Within seconds, it presents the areas of concern, complete with a list of diseases that might cause that anomaly and a heatmap that highlights potentially problematic areas. 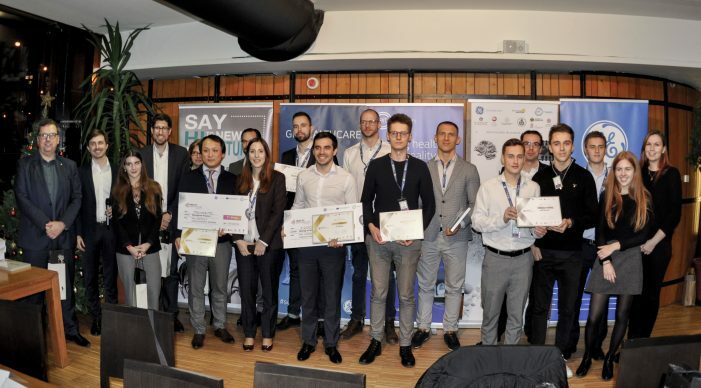 The team recently won the “Rising Innovator” prize from EIT Health VentureLab, an accelerator program for European startups in healthcare based in Budapest, Hungary. Health VentureLab offers a 6-month acceleration program starting in April for startup companies and teams in life sciences and healthcare. It includes intensive monthly training sessions, coaching and mentorship, and a Europe-wide network within EIT Health. 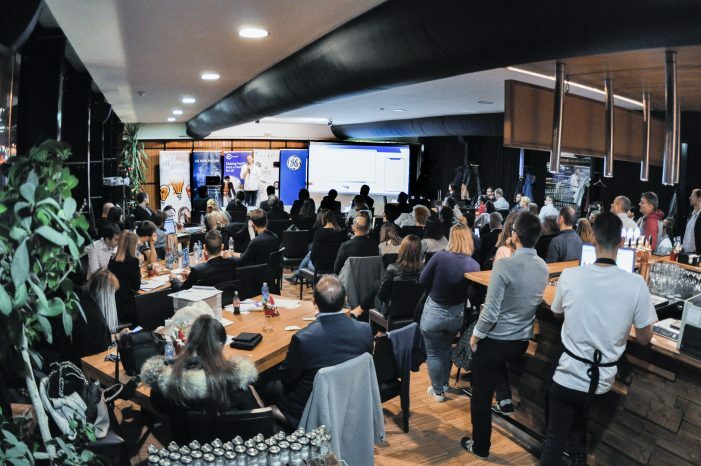 XVision won the award during Demo Day, the program’s closing pitch competition that brings together 20 top teams from 14 European countries. XVision applied for the Health VentureLab accelerator because they had the technical skills but lacked the business expertise to bring XVision to market. “We wanted to find mentorship and network that would help us with this area – and we did,” Cristian Avramescu, Technical Lead at XVision. “Health VentureLab helped us identify new business opportunities, analyze and solve our vulnerabilities, navigate the complicated healthcare business landscape, and develop our network. All in all, they offered more than their value proposition. Taking part in the program has really helped accelerate our startup’s growth,” says Stefan Iarca, Business Manager of XVision. That’s exactly the point of the program, says Kurt Höller, director of business creation at EIT Health. 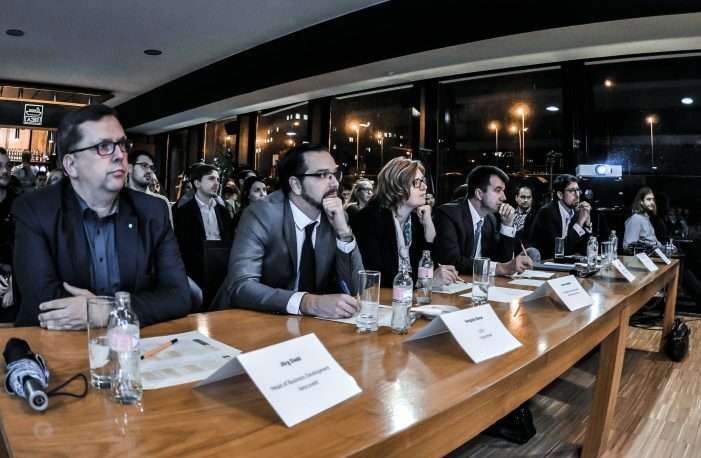 “EIT Health, as the largest healthcare initiative in Europe, can make a difference in creating a vibrant and competitive startup ecosystem through its worldwide partnerships in healthcare,” says Kurt Höller, director of business creation at EIT Health. Health VentureLab partners with several universities and university hospitals, as well as global industry players in medtech, biotech and digital health industry players from around the globe, including GE Healthcare. During Demo Day, another company called Tendertec won the Disruptive Product prize for its personalized safety and monitoring system for elderly people. The Wales-based company uses AI to automatically and in real-time alert caregivers in an emergency, empowering them to make data-driven decisions that improve senior care and enhance the quality of seniors’ lives. “The biggest contribution of the Health VentureLab program to Tendertec has been through the amazing mentors we worked with. After a matchmaking process that ensured the participating companies found the best fit, we were able to choose mentors that helped us advance on multiple levels – mindset, business and product development and strategy are some of the critical areas we were able to make headway in just four months – a true acceleration process in practice,” says Dr. Afroditi Maria Konidari and Rui Zhang, Founders of Tendertec.